Type:Led Display With Touch Digitizer. LCD Glass:Glossy/ Reflective Surface. Screen Size:12.9". Compatible Model no: For iPad Pro 9.7 black. LCD Glass:Glossy/ Reflective Surface. Type:Led Display With Touch Digitizer. Screen Size: 9.7". Description Feature: 100% Brand New and never used high quality warranty. Fixed broken / damaged / cracked Screen. iPad 3/4 Touch Screen Digitizer Glass Replacement Each screen is tested before shipping and 100% working. Due to the complexity of iPhone structures, suggest you that find professional for dismantling your phone or read the instruction before Packgae:. Supplied: Touch Screen Digitizer White. Change this Part is not an easy job. Just connect the flex ribbon to main board connector. After you test the item working fine, then fit it to your phone. If you have a cracked or broken glass this is the repair part for you. Black iPad Mini Glass Touch Digitizer. Touch Screen Digitizer x 1 (BLACK). iPad Mini 1 and 2. If your iPad mini 1 or 2 front LCD glass is not working, this is the part you will need -. Not compatible with iPad mini 3. IPad Air / 5 Digitizer. If your iPad Air/5 digitizer is faulty this is the part you need. Compatible Model: iPad Air/5. Apple iPad Air. Apple iPad Air WiFi plus 3G/LTE. Apple iPad Air WiFi. Apple iPad 5. White iPad Mini Glass Touch Digitizer. Touch Screen Digitizer x 1 (White). iPad Mini 1 and 2. If your iPad mini 1 or 2 front LCD glass is not working, this is the part you will need -. Not compatible with iPad mini 3. Description: This is a replacement front glass digitizer for the iPad 3/ 4 - great for replacing cracked / scratched / marked / and smashed screens. 100% Brand new. Compatible with: All iPad 3/ 4 models. Made from high quality materials, just the same as your original. Quality controlled and tested. Item will come carefully packaged. Colour: White. Comes with free complete tool kit. ​ Package include:. Compatible Product LineiPad mini 1st Generation,iPad mini 2. Compatible with: All iPad mini 1 & mini 2 models. Compatible ModelFor ipad mini 1 & 2. Colour: WHITE. MPNDoes not apply. Local pick up isnot available. Supplied: Touch Screen Digitizer Black. Change this Part is not an easy job. Just connect the flex ribbon to main board connector. After you test the item working fine, then fit it to your phone. If you have a cracked or broken glass this is the repair part for you. Description: This is an excellent replacement for your broken or fault touch screen digitizer for Black iPad mini . 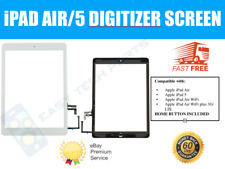 This brand new touch screen digitizer unit is only the Screen glass digitizer with the flex cable and a set of precision tools . It is handy, safe and easy to use. If you have an Black iPad mini with a broken / scratched / cracked Glass screen, and the LCD Display is still working well - this is the part you need. Feature : . (This item is a front touch screen panel or digitizer (with flex ribbon or touch function). We are 100% confident. Apple iPad 5 Air 1 (2013) A1474 A1475 A1476. can’t dissolve any problem!). And item colour displayed in photos may be showing. Description: This is an excellent replacement for your broken or fault touch screen digitizer for White iPad mini . This brand new touch screen digitizer unit is only the Screen glass digitizer with the flex cable and a set of precision tools . It is handy, safe and easy to use. If you have an WhiteiPad mini with a broken / scratched / cracked Glass screen, and the LCD Display is still working well - this is the part you need. Feature : . Type : Touch Screen Digitizer LCD. Colour : Black. UK OwnedBuisness. We will respond to you within 24 hours and do our best to help you. Condition : New. High quality For iPad 2. Compatible with :For iPad 2. Full tested 100% one by one before dispatch. Compatibility: Apple iPad Pro 10.5" A1671 / A1701/ A1709. We work very hard to ensure that your back up and running as quickly as possible, we understand that it may just be a phone or tablet but we are all pretty lost without them! 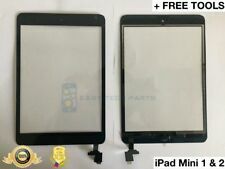 For Apple iPad Mini 2 3 A1599 A1490 A1489 (not fit mini 1st gen A1432 A1454 A1455). Highest Quality LCD Screen Available on the Market. 1 xLCD Display Screen. Model Compatible We also operate between 10am and 5pm. Compatibility: Apple iPad Pro 10.5" A1701/ A1709. We work very hard to ensure that your back up and running as quickly as possible, we understand that it may just be a phone or tablet but we are all pretty lost without them! Digitizer: 821-00100. Part: Apple iPad Mini 4th generation LCD assembly. Compatibility: iPad Mini 4th generation. LCD screen: 821-2253. Apple Part Number We work very hard to ensure that your back up and running as quickly as possible, we understand that it may just be a phone or tablet but we are all pretty lost without them! Apple iPad Air 2 Cracked Touch Glass Repair Service. Wrap your iPad using plenty of bubble wrap. (For example, if the speaker is not functioning we cannot be responsible for this as we could not confirm it was working before the repair). 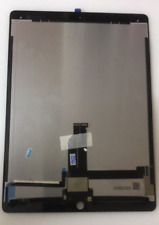 Part: Apple iPad 4 digitizer assembly. Touch screen / digitizer panel. Compatibility: Apple iPad 4 Wi-Fi only and Wi-Fi and Cellular versions. Assembly includes We work very hard to ensure that your back up and running as quickly as possible, we understand that it may just be a phone or tablet but we are all pretty lost without them! Compatible with the iPad Air WiFi & 4G models, 1st generation model. Free ipad repair tools included. On-line iPad dismantling instructions provided. Why Buy From Us?. Compatible with the iPad 2 WiFi & 3G - 16Gb, 32Gb and 64Gb models. Free ipad 2 repair tools included. Pick up in Gloucester. We send out as soon as you have paid the goods. We gladly assist you with any problem. All our products are from selected factories and have been tested before sent out. Close zoom. Compatibility: Apple iPad Pro 12.9" (A1584 / A1652). We work very hard to ensure that your back up and running as quickly as possible, we understand that it may just be a phone or tablet but we are all pretty lost without them! Apple iPad Mini internal button cable with wake / sleep sensor. Apple iPad Mini IC connector. Apple iPad Mini 3G & Wi-Fi. Apple iPad Mini Wi-Fi. Apple iPad Mini digitizer adhesive. The Digitizer is the touch panel that sits over the LCD screen. Genuine screen digitiser/touch screen for iPad Mini 1 and Mini 2. Part: Apple iPad Air / iPad 2017. iPad 2017 (A1823 / A1822). iPad Air (A1474 / A1775 / A1476). Apple Part Number: 821-1894 or compatible. We work very hard to ensure that your back up and running as quickly as possible, we understand that it may just be a phone or tablet but we are all pretty lost without them! IPad Part. Try my best to describe the item as accurate as possible. Part: Apple iPad 2017 digitizer assembly. iPad 2017 (A1823 / A1822). Digitizer Adhesive. Colour: Black (with Black button). We work very hard to ensure that your back up and running as quickly as possible, we understand that it may just be a phone or tablet but we are all pretty lost without them! At vero eos et accusam et justo duo dolores et ea rebum. Pick up in Gloucester. We gladly assist you with any problem. no sea takimata sanctus est. Stet clita kasd gubergren. Close zoom. How to buy. Apple iPad Air 2 Wi-Fi Only. Apple iPad Air 2 Wi-Fi & Cellular. We work very hard to ensure that your back up and running as quickly as possible, we understand that it may just be a phone or tablet but we are all pretty lost without them! What's the difference between this and an Apple Apple digitizer?. Again, not much. Technically the working life if the digitizer may not be as long as an Apple one using copper as the conductive material however they are still rated to last several years and will outlive many other components found inside the iPad. Part: Apple iPad Mini 3 digitizer assembly. High quality Apple iPad Mini 3 touch screen assembly. Compatibility: Apple iPad Mini 3rd generation, all models and GB sizes. What's the difference between this and the Apple Apple part?. Apple iPad Mini internal button cable with sleep / wake sensor. Apple iPad Mini IC connector. Apple iPad Mini Wi-Fi (all Gb sizes). Apple iPad Mini Wi-Fi & 3G (all Gb sizes). Apple iPad Mini digitizer adhesive. Original iPad mini 1 2 Screen digitizer. (Part: Apple iPad 2017 digitizer assembly. iPad 2017 (A1823 / A1822)). Digitizer Adhesive. Colour: White (with silver button). We work very hard to ensure that your back up and running as quickly as possible, we understand that it may just be a phone or tablet but we are all pretty lost without them! Description Feature: 100% Brand New and never used high quality warranty. Fixed broken / damaged / cracked screen. iPad 3 Touch Screen Digitizer Glass Replacemen Each screen is tested before shipping and 100% working. Due to the complexity of iPhone structures, suggest you that find professional for dismantling your phone or read the instruction before Packgae:. Compatible with the iPad 3rd and 4th Generation WiFi & 3G models. Free iPad repair tools included. Digitizer: 821-00100. Part: Apple iPad Mini 4th generation LCD assembly. Compatibility: iPad Mini 4th generation. LCD screen: 821-2253. Apple Part Number Condition : Removed from new unit no scratches or marks on screen but can show signs of removal. A1500 A1600. Original iPad mini 1 2 Screen digitizer.